One of the coolest non-game announcements to come out of Gamescom 2014 this year was Microsoft's announcement that media streaming would be heading to Xbox One this fall. 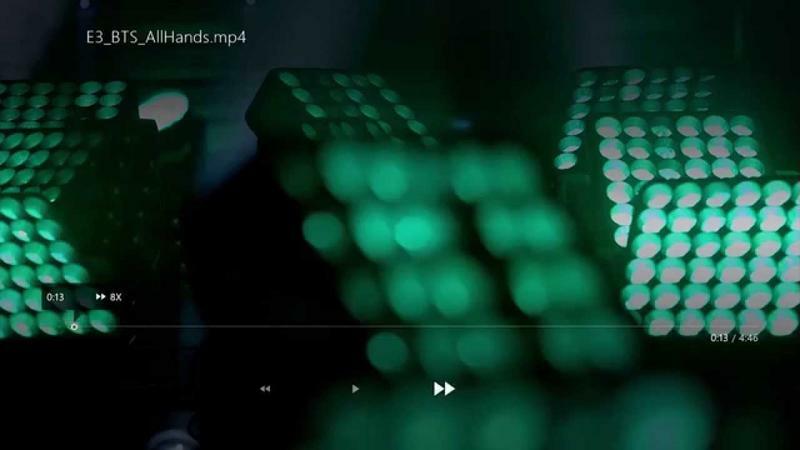 In this video with Xbox Live Programming Director Larry "Major Nelson" Hryb and Albert Penello from the Xbox product team, we get a look at what the interface for streaming that media will look like. You can stream either off a USB thumb drive or off of a DLNA-enabled device such as a Windows PC or media server. The interface is pretty straightforward, with a folder view laid out into two rows of squares like everything else in the Xbox One interface. It looks like it should be easy to navigate as long as you take the time to organize your files ahead of time. The media player supports a huge list of codecs that should be enough to excite just about any mediaphile. The only missed opportunity I can see in the list is a lack of FLAC audio. We've reached out to Microsoft to find out if the media player app will be snappable and whether or not it will support standard playlist files, and will update this story if we hear back. The app is coming as part one of this year's fall updates, so we can look forward to trying it out soon.